Dr. Ma. 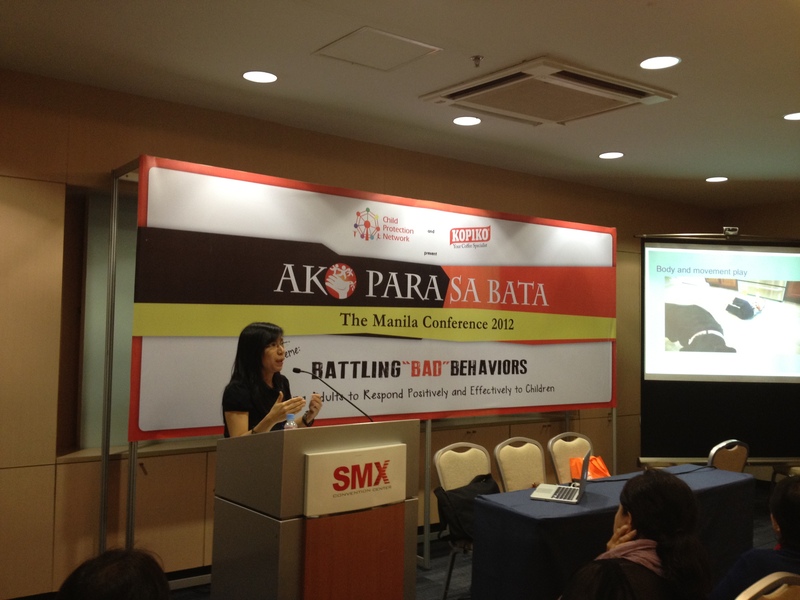 Lourdes “Honey” A. Carandang was the plenary speaker during the second day of the conference where she gave a talk on, Understanding the Child’s “Bad” Behavior. 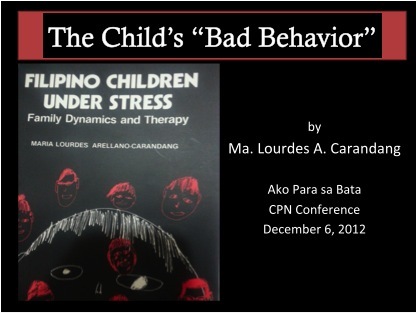 She highlighted the importance of the role of the family and the environment of the child in understanding and dealing with children who exhibit “bad” behavior. 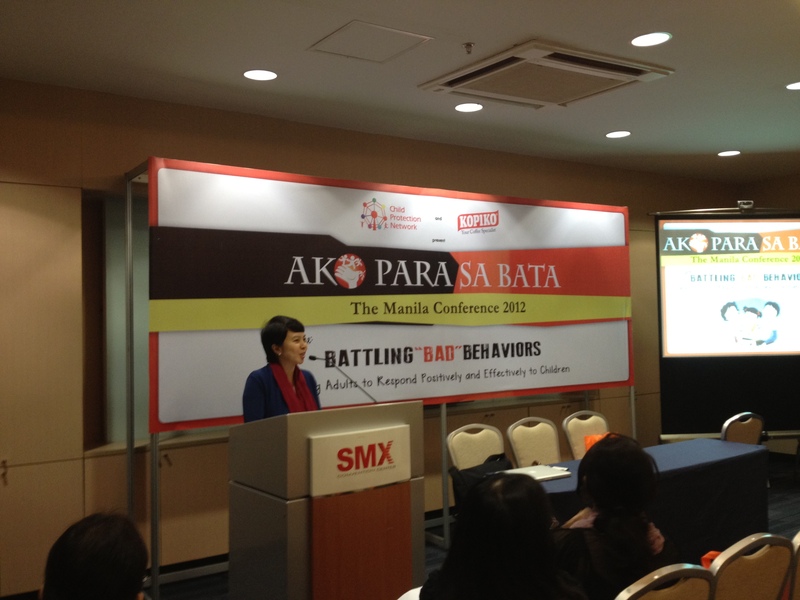 Aileen shared the importance of understanding the misbehavior of children and adolescents through the use of psychological interventions and of expressive therapies such as arts and play. She talked about how children and adolescents’ extreme forms of behavior are manifested in and out of the classroom and to see these behaviors in the context of their world. She discussed concrete and immediate responses as part of the measures in helping these children. Tess discussed how mindfulness in parenting puts into context the connection with children: that a mindful parent who knows how to take time to nurture oneself enables her/him to do the task of parenting. It also explored the use of children’s art as “play” for both the child and parent. 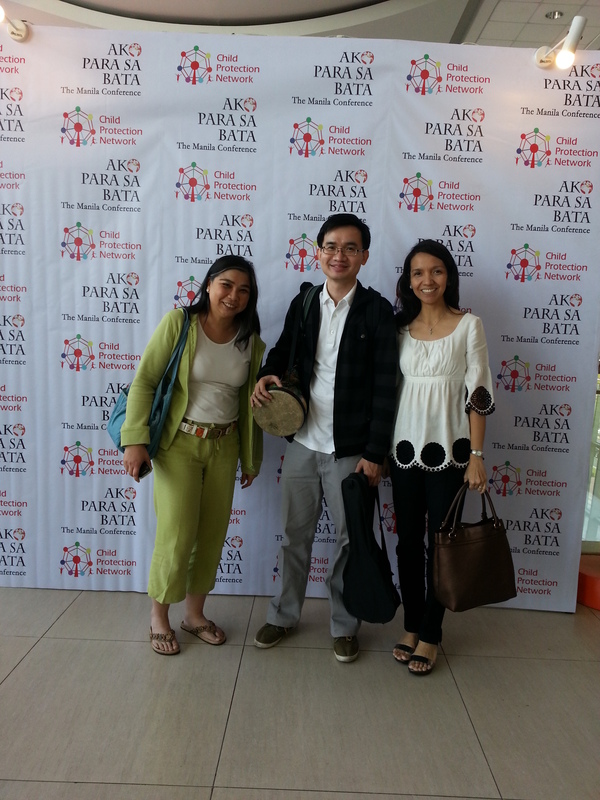 It discussed how art is used as a form of expressive therapy which can be used to understand and validate the child. Richie discussed a holistic perspective of the need for children to play. 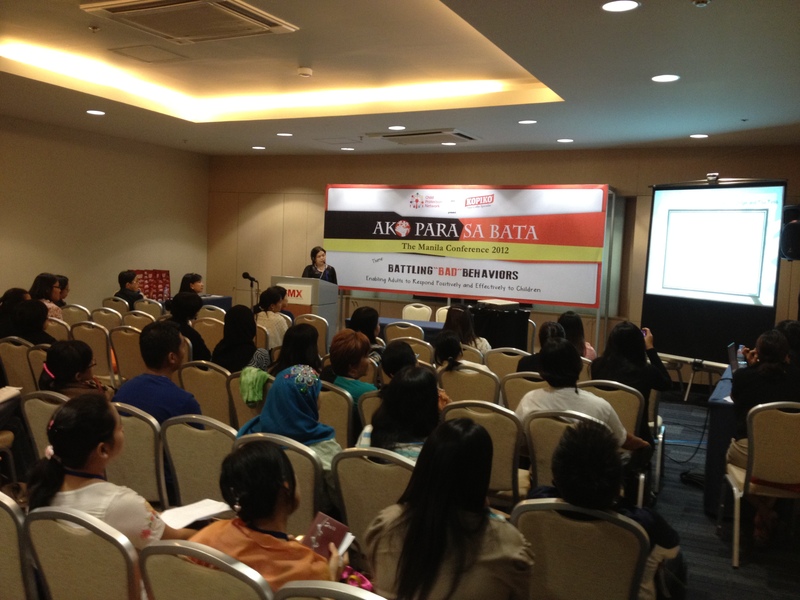 She talked on the biological, evolutionary, social, emotional, and physical need of children for expressive therapies. She shared some of the existing literature on the evolutionary basis of play. Play is important for children’s well-being. Marisa, Bless and Chris shared their insights on how music and the arts can be used to express feelings and facilitate healing. This was done by letting the participants experience two expressive arts activities that allowed them to first, tune in to the feelings they have when they handle difficult cases and secondly, for them to put themselves in the shoes of a child that they are having difficulty with at the moment. The sharing from the participants highlighted the importance not only of using the arts to be more understanding and compassionate to the children they handle, but also in taking care of themselves in order to better help others.